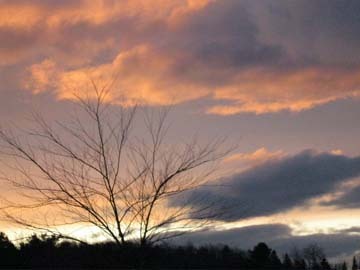 The Adirondack Weekend Highlights for November 18-20, 2011. Just outside, please join me on Nov. 19, 4:00-4:45 p.m at the Adirondack Sports and Fitness Winter Expo. I will be doing a slideshow on easy family-friendly snowshoe and XC ski trails for the Adirondack High Peaks. Friday - 11/18/11 For Art Events around the Saranac Lake Robert Louis Stevenson Memorial Cottage and Museum is now open by appointment only until July 1. Whiteface Memorial Highway is closed to drivers for the season. There is snow on top of Whiteface! 7:00 p.m. Pendragon Theatre presents "To Kill A Mockingbird" Ticket prices are $20 adult, $18 senior and $10 for people under 17. 7:30 p.m. Lake Placid Center for the Arts presents Warren Miller's "Like There's No Tomorrow." Look for new gear from local sponsors! noon - 4:00 p.m. Holiday Helps Toy Drive at Captain Cook's in Saranac Lake. Bring a new unwrapped toy from newborn to 12. 2:00 p.m. Old Forge Ballet presents the Nutcracker at the Strand Theatre in Old Forge, $15 for adults, $10 for seniors and teens, children under 12 are free.